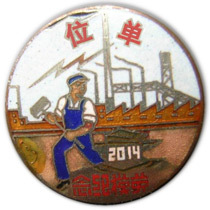 Five years ago, in the autumn of 2012, I returned to China after two years working in London. My previous blog from Beijing, in my Wudaokou days learning Mandarin, was the painfully lime-green Six (2008-10), following the lives of six young Chinese peers – the germ of an idea that evolved into my first book Wish Lanterns, published by Picador last year and a BBC Book of the Week. That autumn of 2012 I launched a new group blog or "writers' colony" of narrative nonfiction – the Anthill – on the premise that everyone in China had a story to tell. Half a decade on, we've had quite the run. We expanded the site to include fiction, thanks to fiction editor, novelist and friend Tom Pellman, who after 11 years in China is now the other side of the pond in Monterey. We hosted two boozy storytelling events: Writers and Rum and Scotch and Stories. 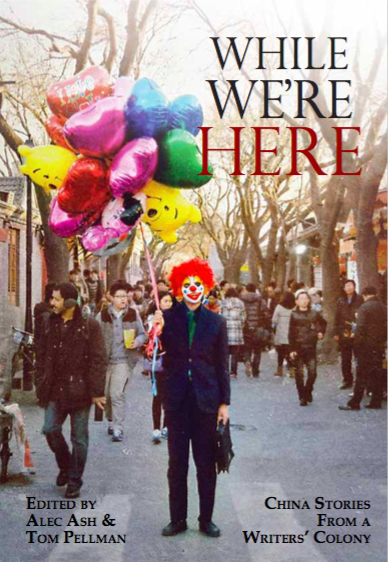 In 2015 we published an anthology, While We're Here, with Earnshaw Books. 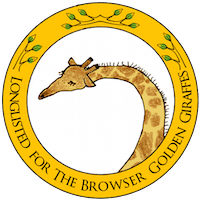 We were a Danwei Model Worker and a Browser Golden Giraffe. And we posted 380 stories, from a thangka of blood to (full circle) an old tale out of Tibet. 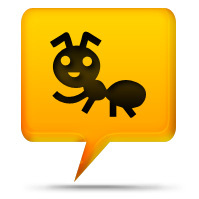 But now our revels are ended, and our friendly ant icon is waving not hello but goodbye. When Tashi calls, I am in a temple overlooking Xining, the capital of Qinghai Province in western China. Loud, slurred, distraught, he asks me to come quickly. Tongren, or Rebkong in Tibetan, is eight bumpy hours south, high on the eastern edge of the Tibetan plateau, and the next bus is at noon. When I arrive, it is dusty evening. Tibetans in cowboy hats or Adidas beanies walk the markets, where Hui Muslims in characteristic white hats sell fried chicken and chilled Coke to Han Chinese immigrants. Monks from the Tongren monastery stretch their legs, trainers poking out from underneath their dark crimson robes. Although this region is not politically defined as Tibet (“China’s Tibet,” the autonomous region established by Beijing in 1965, is many miles to the southwest), ethnically and historically, it is firmly Tibetan. It is Tibet out of Tibet. I find Tashi in a bar on the outskirts, in the middle of a self-hating drunk. He is in his mid twenties, with dark Tibetan skin, brown puppy dog eyes, and a greasy waterfall of black hair. On the table in front of him is a small Everest of cigarette butts and a display of beer and liquor that would make the poet Li Bai, famous for his verses on wine, blush. “Yea?” said Jackson. He refilled his teacup and took a sip. He liked hearing about his mother’s childhood in Suzhou. Jackson was born in this city, though he left for the U.S. at age five. He often wondered what his life would be like if he had grown up here, instead of in the small suburb of Winslow, New Jersey. Flames lap around the banknotes as they shrivel inside a rusty old oilcan, wisps of black smoke spiralling up into the overcast sky. Squatting down on his haunches, Lee peels off a few more 10,000 yuan bills from a fat bundle and offers them to the fire. His teenage son, father and stepmother Auntie Zhang follow suit, holding out the money until it catches alight. Lee’s downcast face is compelling: his mother died in 1985, of heatstroke on a broken-down train near Wuhan. Lee had just graduated; he was very close to his mother. A quick housekeeping note, for our patient readers. Apologies for the radio silence on the Anthill in the last couple of months – I have been in Taiwan this summer, studying classical Chinese, and fiction editor Tom is based on the other side of the pond in Monterey, California. We also had a technical glitch, now fixed, that put the site out of commission for a stretch as some of you had noticed. More importantly, we have news: the hill, alas, is closing down. In a month or so, the Anthill is folding into the new China Channel at the Los Angeles Review of Books, which I will be managing editor of (see more in this Q&A) alongside a terrific team of China hands, old and new. Over at LARB we will still be running narrative pieces, as well as much more, so think of it as a continuation. But the Anthill itself will be closing its gates for new submissions, although the site will remain up and archived in its entirety. We still have a last few pieces to publish, starting with a son's moving tribute to his mother on qingmingjie. A handful more will follow, taking us to late September when the China Channel launches.